Implementing new software to corporate branches is a lengthy procedure and an institutional adjustment, especially for a board of directors. You’ve researched, participated in demonstrations, vetted references, sought approvals, onboarded users and administrators for a proper board portal adoption. But what happens when your due diligence fails and your board portal vendor is acquired? 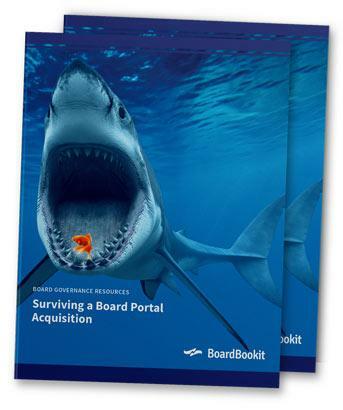 Our free guide explores what you can expect if your board portal vendor is acquired, the right questions to ask during an acquisition, and how to properly research other board portal vendor options.